Indianapolis, IN – Over the weekend Sun King hosted the inaugural CANvitational, showcasing some of the best canned craft beer from across America. However, the event was more than just a beer festival, it was a chance for Sun King to give back to the community and opportunity to highlight and support high-impact arts projects through the in the community. To find those projects, Sun King chose power2give, an initiative of the Arts Council of Indianapolis, as the resource to discover organizations with particularly special projects that needed and deserved support. As an ongoing supporter of the work of the Arts Council of Indianapolis, Sun King is proud to partner with the power2give initiative to create meaningful community impact and support for the arts in Indianapolis. Five organizations were selected to participate in the project funding opportunity; Dance Kaleidoscope, Indiana Writers Center, New World Youth Orchestras, Spotlight Players, and VSA Indiana. All attended the CANvitational and showcased their projects in an effort to garner votes from the crowds. By popular vote, VSA Indiana took first place and will receive $5000 to fund their project supporting a year-round series of free, public programs held in VSA Indiana’s adaptive studios, located in the Harrison Center for the Arts. VSA Indiana’s mission is to provide access to lifelong learning and creative expression through the arts of people with disabilities in Indiana and each First Friday guests can sample a new workshop led by a professional VSA artist. The line-up features inclusive workshops in ceramics, 2-D art, music, drama/movement, and more! VSA Indiana (formerly Very Special Art) has been serving Hoosiers for over 30 years. More information on the group and the project can be found here. Sun King Brewing Company is the brainchild of Dave Colt and Clay Robinson. With the help of family and friends – Omar Robinson, Andy Fagg and Steve Koers – the first keg of Sun King beer rolled out the door for delivery in July 2009. Now available on tap and in cans at over a thousand locations throughout Indiana, Sun King has grown into the second-largest beer brewer in the state. The company’s commitment to handcrafted seasonal and specialty beers has been rewarded with multiple medals at the Indiana Brewers Cup, Great American Beer Festival and World Beer Cup competitions. 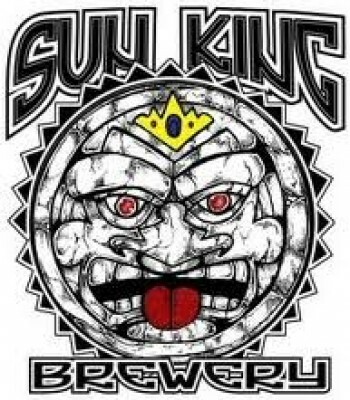 Visit www.sunkingbrewing.com for more information. The Arts Council of Indianapolis builds financial support and widespread appreciation for meaningful engagement in the arts. The Arts Council envisions an arts and cultural community that is recognized as a leading arts and cultural destination. In support of the organization’s mission and bold vision, an energized and committed board of directors fuels the qualified and experienced staff of arts professionals. The Arts Council grants the city’s arts-related funds through competitive grant programs, provides fellowships to talented artists in all disciplines, participates in and leads community initiatives in the arts, elevates artists and arts organizations through increased visibility and programming, public art programs for the city of Indianapolis, and convenes groups and encourages collaboration in the arts. Visit indyarts.org for more information about the Arts Council of Indianapolis and our services to the arts community.